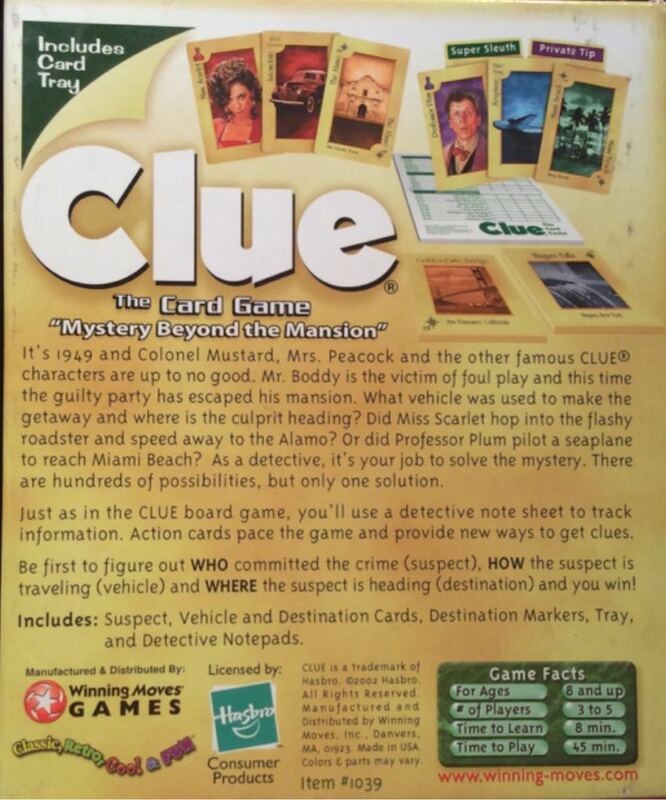 Description: Just as in the CLUE board game, you’ll use a detective note sheet to track information. 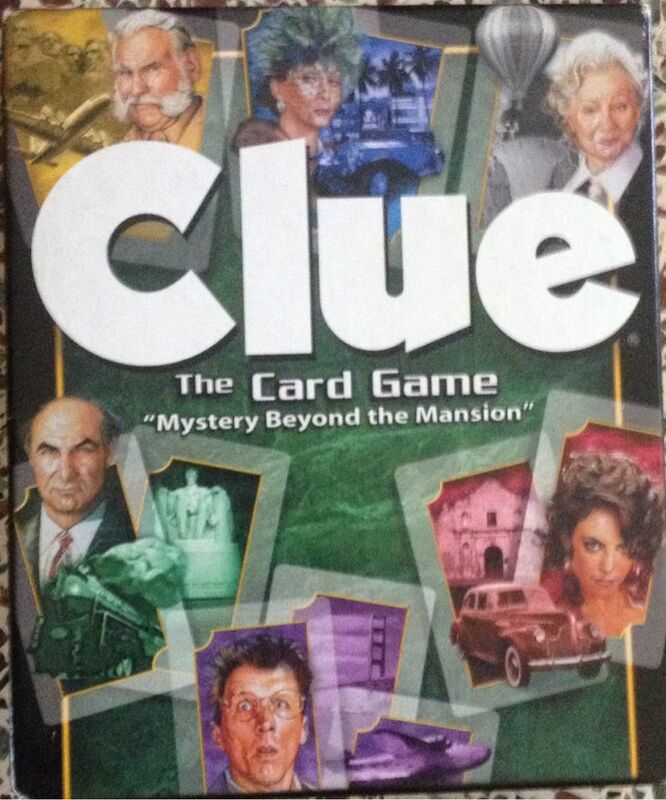 Action cards pace the game and provide new ways to get clues. Be first to figure out WHO committed the crime (suspect), HOW the suspect is traveling (vehicle) and WHERE the suspect is heading (destination) and you win!